It’s almost summer. School children are doing a happy dance, and pool parties will soon be in full swing. With the warm weather closing in, your residents will surely want to get outdoors and enjoy the sunshine. This means any community features you offer need to be prepped and ready for use. Pool areas, BBQ pits, and picnic areas should all be on your checklist to ensure they are usable and inviting for resident use this season. Warm weather will bring your renters outdoors, and the long days will encourage them to stay out later in the evening. Before the peak of the season, it’s important to remind renters of any rules regarding quiet hours, pool use, grills and other community amenities. 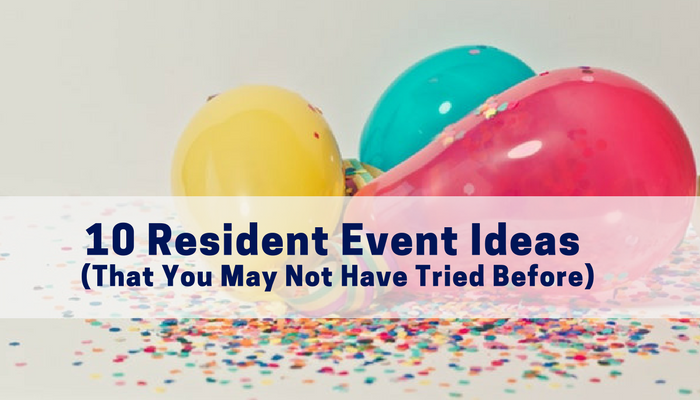 It’s also a good idea to include info regarding your policy for guest visit lengths and guest parking so that no tenants feel upset about a lack of communication. Pool safety is a big issue for many properties. Summer often means cannonballs in the resident pools, so be sure it’s ready for your residents. Moreover, make certain that your residents (especially parents) are aware of any safety rules and regulations regarding the pool’s use. Ensure that any pool fencing cannot be scaled by small children outside the pool’s regular hours, furthermore, make certain that any necessary permits are up-to-date, and that any posted safety signs are not faded or illegible. 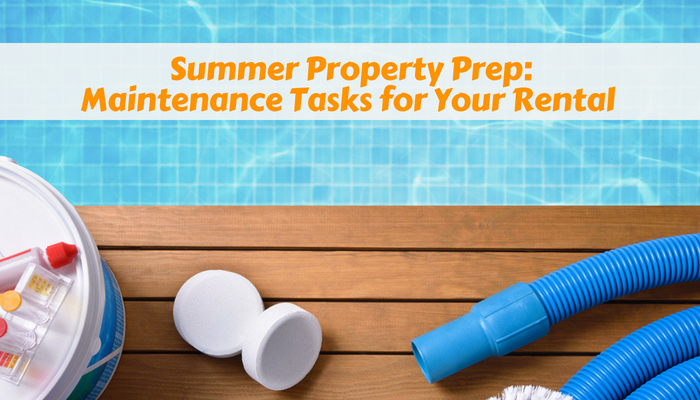 Once you have seen to the pool’s safety, make sure that it’s properly cleaned and ready for your tenants’ enjoyment. Residents who opted to rent your property often do so with the enticement of the available amenities. Ensure that your outdoor amenities are not only available but are inviting and maintained throughout the warm seasons. Be sure that outdoor BBQ pits are cleaned and stocked with propane, and don’t forget to supply backups so a summer BBQ doesn’t have to grind to a halt mid-grilling. Survey any outdoor furniture such as chairs tables and umbrellas to ensure that they work properly, are clean and ready for use. Summer heat can make flames spread all too easily. Avoid a preventable disaster by removing any dead or excessively dry vegetation, and trimming back bordering vegetation. Ensure that any grills are properly ventilated, positioned away from structures and that your residents are fully aware of fire safety techniques when utilizing the equipment. Check with your local fire department for more fire safety recommendations and stay up-to-date about your local laws regarding fire extinguisher requirements for landlords. To combat dryness, service your irrigation system to save on water usage, prevent damage to your landscape and reduce standing water. Program sprinklers to the optimal summer settings for your area in order to keep your landscape looking truly fresh and as maintained as possible. Host summer community events, like a BBQ or pool party and take advantage of the high spirits by asking for renewals. By offering renewal incentives and reminding your tenants about how much fun it is to live in your property you will make him more likely to stay. Events combined with renewal incentives can be a powerful combination to ensure your tenants are more likely to stay. Overall this season, remember to connect with your tenants and directly ask about any unreported issues. Outside of conducting a tenant survey, the key to knowing what your tenants need is to make time to talk to them. Moreover, the key to avoiding costly damage is to utilize preventive measures and address an issue before it compounds. Take this time to touch base with your tenants to ensure they enjoy living on your property and ensure that your investment is protected for years to come.